Ex-Ivory Coast President Laurent Gbagbo was granted conditional release by the International Criminal Court at The Hague following his acquittal on charges of crimes against humanity, but will wait in Belgium while prosecutors appeal against the decision. 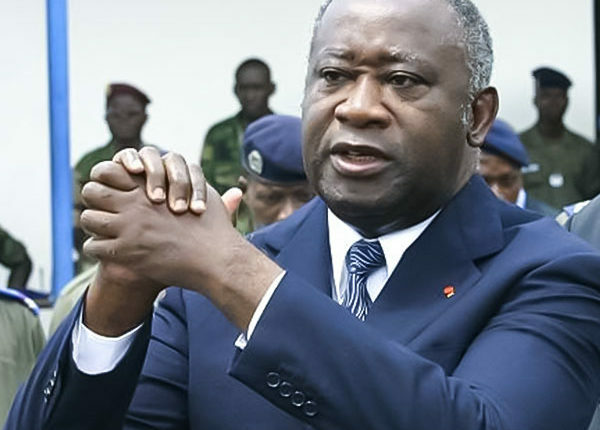 The charges against Gbagbo and another defendant, Charles Ble Goude, stem from his refusal to accept defeat in elections in 2010 adjudged to have been won by current President Alassane Ouattara. The action resulted in a five-month stalemate characterized by violence during which at least 3,000 people died. Gbagbo, now 73, was ousted eventually by United Nations and French troops that arrested him and handed him over to the International Criminal Court for trial. Belgium accepted to receive Gbagbo and also enforce the terms of his release, as required, the ICC said in a statement on Friday. Standard Chartered Bank is embarking on the second phase of its rollout of digital-only branches across Africa with the addition of Uganda and Tanzania, with Ghana and Kenya lined up to follow within the first quarter this year. The digital-only branches provide 70 of the most common services requested by customers, including loans and overdrafts, fixed deposits, QR code and P2P payments, the U.K. bank said in a statement. The lender will also “strategic local alliances’’ to meet clients shopping, travel and dining needs. The first phase was started in Ivory Coast last year. African banks are rated second worldwide in terms growth and profitability, with retail banking providing opportunities for rapid growth given the large number of people still left outside the banking system, a situation Standard Chartered said justifies its latest thrust. War-torn South-Sudan said it has agreed a deal to receive infrastructure funding in exchange for crude oil with China’s Export-Import Bank. The government of President Salvar Kiir gave approval for the allocation of 10,000 barrels per day of oil for the purpose of meeting the country’s obligations under the agreement, Junior Information Minister Lily Akol said in the capital, Juba. Payment for the Chinese contractors who will build the infrastructure, mostly roads, will be made directly to the Ex-Im Bank, she said. South-Sudan has the third-biggest oil reserves in sub-Saharan Africa, after Nigeria and Angola, and currently pumps about 170,000 barrels of crude daily. At least 60 people were killed by Islamist militants in an attack on the northeastern town of Rann after it was abandoned by government troops, Amnesty International said. The town has come under repeated attack in recent months, part of a broad intensification of attacks by the militants ahead of February 16 presidential vote in which President Muhammadu Buhari is seeking re-election. Buhari had won in 2015 partly on the promise to defeat the Boko Haram Islamist insurgency now in its 10th year. Aid agencies say more than 40,000 people fled the recent attacks on Rann, most of them to neighbouring Cameroon.